The question my students ask me most is how to do a good tennis game, but to make a good tennis game, it is not enough to have an article, let alone a single kind of tennis, tennis is the most complex Exists and to perform well this blow requires an impeccable technique and a lot of practice. But, well, in these lines I will try to summarize aspects that should never fail in your tennis service. The first aspect to make a good serve of tennis is the position of feet in the serve. If a player has never received tennis lessons it is quite common to see that the feet position may be incorrect. The most common error related to the position of feet is to be facing with the tips of both feet facing forward when it is correct that the back foot is parallel to the bottom line and the front foot look at the right post of the Network if you are right-handed and to the left post of the network if you are left-handed. 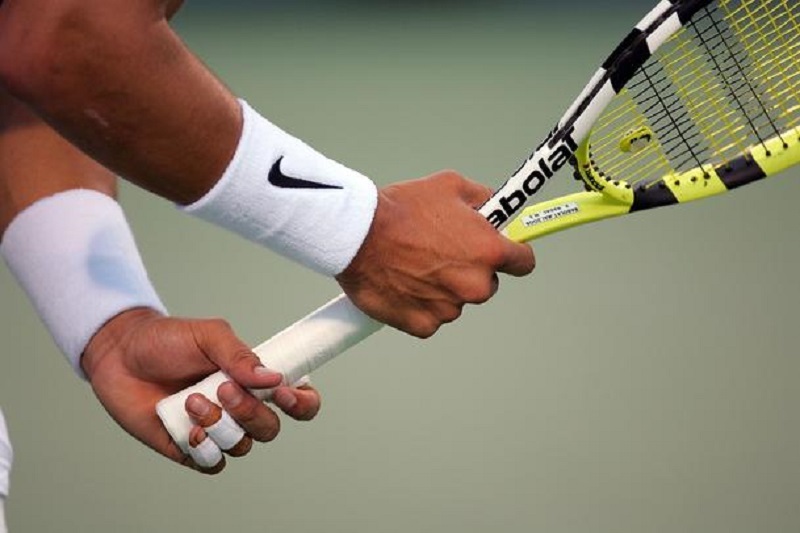 Remember that the right grip on the tennis serve (video) is the continental grip or also known as a hammer grip, imagine that your racket is a hammer and nails a nail. 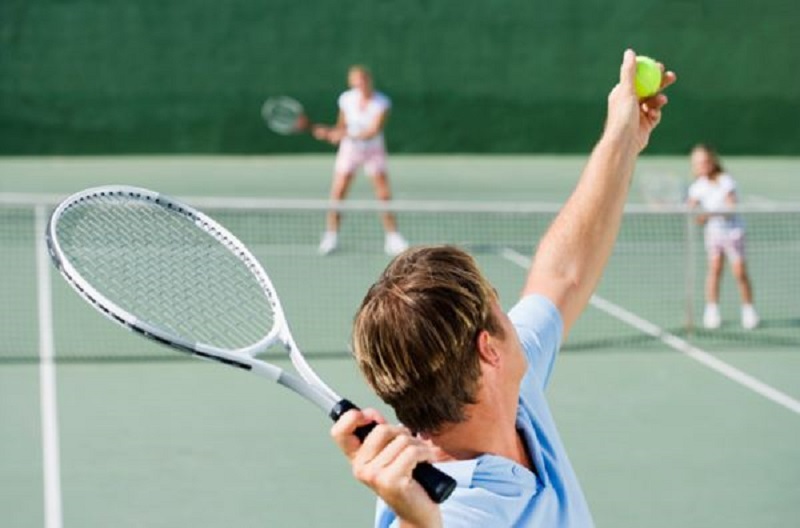 It is very important that you learn to do the pronation to get out with the hammer hilt and you get a good serve of tennis, otherwise all the balls will not enter the box of service and what will happen is that they will go to the side of the track and in many cases even go to the fence of the tennis court. Pronation is that rotation of the forearm so that when you hit the ball the ropes are facing the service box without having changed the hammer grip at any time. The racket should aim at the box you want to draw and when you throw the ball into the air should raise both arms at a time, bearing in mind that the throwing of the ball With the hand up is 50% of a good serve of tennis since if you throw badly the ball, by more good technique that you have will harm the blow. When throwing the ball in the tennis game you must be your best ally and not your worst enemy, with this I mean that you must throw the ball at a comfortable point to hit it. Normally this point in a first power draw would be to a height that your dominant arm when hitting the ball is completely stretched and a little in front of your head, you could use of reference the foot that is ahead and to draw an imaginary line upwards to know Where they hit her. Remember that depending on the type of service (Plane, Cut or Lifted) the ball is not thrown to the same place so for this example it is for a plane pulls out of power. Flexing your legs when you throw the ball is another key aspect so that when the racket makes the loop behind the head and climbs to hit the ball, you raise your body with the racket at a time and get more strength thanks to the kinetic chain of the Flexion and extension of legs. Well I think at least these brushstrokes can help you in how to make a good tennis game, but I insist that an article by itself is nothing more than a static photograph of what should be done and the best is a kind of tennis step by step As I do with my students on the tennis court, since when there is a major failure in their tennis shot. I go back to the beginning with them and we go through all the phases one by one with practical exercises by separate so that finally they themselves All the pieces of the puzzle to purify the blow to the full.